Why Samsung Galaxy S4 Wins Like a Boss?! Top 5 Features and Specs! 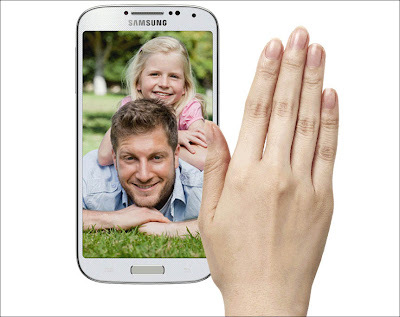 The most anticipated smartphone of the year 2013 is out, its the Samsung Galaxy S4. It's a new smartphone by Samsung with a full HD screen (1080p), improved camera and optics, increased processing power and much more. In terms of its physics aspects, its no different than Galaxy S3. It's almost the same size and made up of the same polycarbonate body. The only difference being that it's little bit on the thinner and lighter side. Samsung Galaxy S4 is not one of the most premium feeling phone in the smartphone market, but why does it still win? 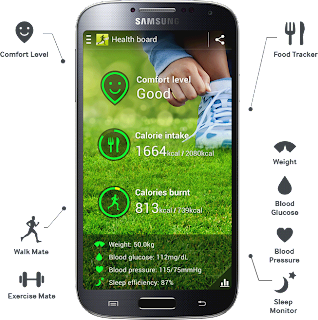 Samsung has tried to target the normal everyday person with its Galaxy S4. They have tried to portray the Galaxy S4 as a feature rich phone. They studied the reason of success of the Galaxy S3 and found that people bought the Galaxy S3 because of its features and brand value. People bought the Galaxy S3 even if it had a cheap feeling plastic body because of its unique features and Samsung has tried to recreate that magic once again. I am saying this because if you saw the Galaxy S4 event, Samsung didn't stress too much on how many cores the Galaxy S4 had or what version of Android was it running. 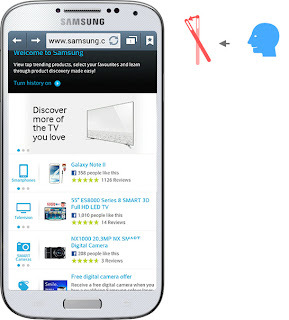 They tried to emphasize on the software features the Galaxy S4 had. 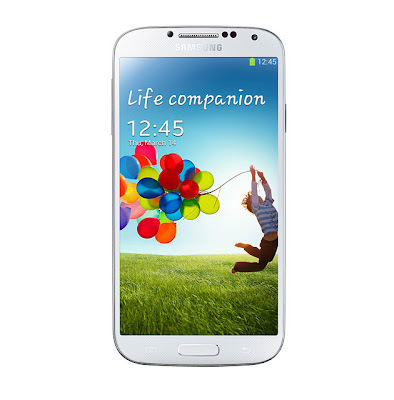 Samsung has tried to make the Galaxy S4 a lot different from other Android phones out there in the market. Samsung Galaxy S4 will sell like hot pancakes because of its features, but what are its features? Here I present you the top 5 features of Samsung Galaxy S4. This feature allows you to pause a video by just looking away from the screen. The video automatically resumes playing when you again look back to the screen. Smart Scroll lets you scroll the screen without actually touching it. It senses your face and wrist movements and scrolls the pages. This feature allows you to interact with the screen without actually touching it. This is of great use when you want to control your smartphone while eating. You can record videos from both the cameras of your smartphone at the same time by layering the video input from the front camera on top of the video input coming from the rear camera. 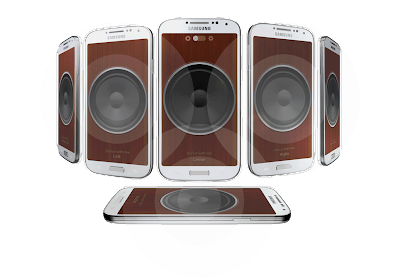 Dual Play is a feature which allows you to play the same music or games simultaneously on two similar devices. Do you think this many features were not enough? Here are two more bonus features for you. S Translator is same as Google Translate. 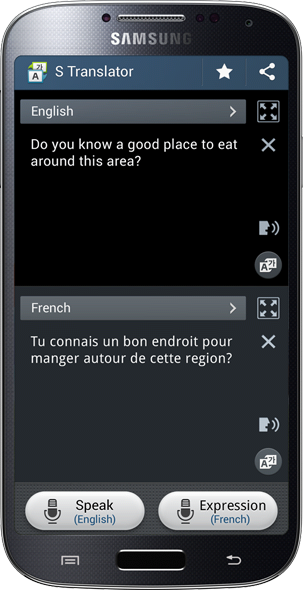 It translate whatever you speak into the desired language and which you can use in emails or for messaging services. It is an app which helps you to monitor your health parameters. Samsung Galaxy S4 is a perfect blend of hardware and software innovations. Samsung has tried to add values via software not hardware. But that doesn't mean that the Galaxy S4 has no good hardware specifications. 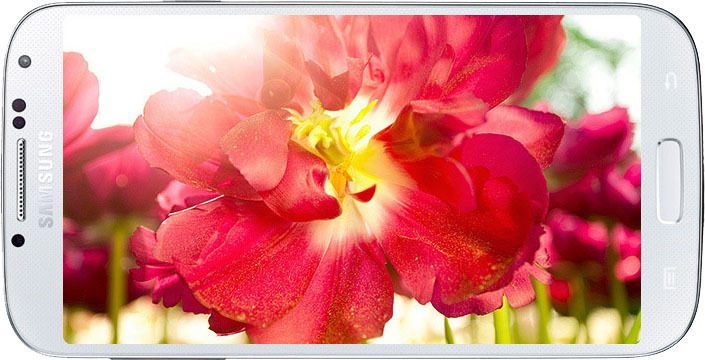 It has a beautiful full HD screen, a octa-core processor, a 13 MP camera and much more! We cannot say that its the best phone out there in the market because there are some great phones like the new HTC one, Sony Xperia Z but I can definitely say that its a unique phone which won't get lost in the Android crowd. Considering all these facts, its a win for Samsung. If you liked the article please share it with your friends and families, it will help them understand the purpose Galaxy S4. If you have any thing to share and ask, feel free to do so in the comments section below.